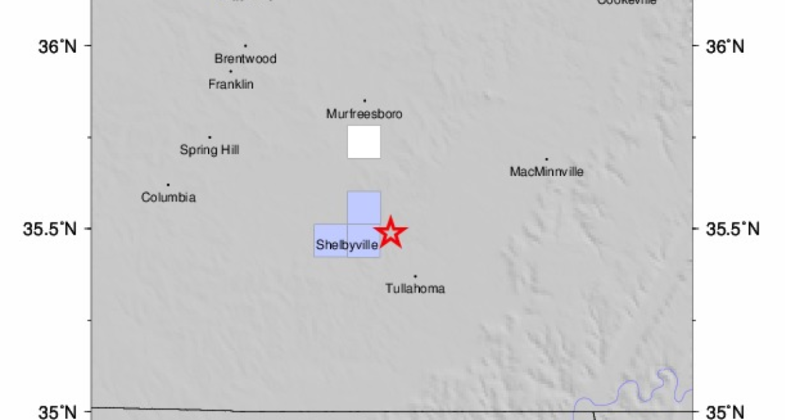 SHELBYVILLE, Tenn. (WTVF) – An earthquake shook an area near Shelbyville on Tuesday night. It was a 2.8 size with a depth of 7.4 km. Several people reported to the USGS that they felt the earthquake. Bedford County Emergency Management Agency officials said they also received reports from many residents who felt the rum. However, no damage has been reported.